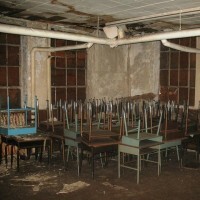 Schools were historically the center of each community or neighborhood however, as educational requirements change, they are often abandoned for more technologically advanced and larger buildings. Numerous communities have preserved and reused their historic schools as magnet schools, community centers and cultural centers. In some instances, when a public use is not identified, these schools have been turned over to the private sector for rehabilitation. These schools have been successfully converted into senior, affordable and market rate housing as well as artist space. CPG has consulted with both private and non-profit entities who have successfully reused historic schools to ensure their continued presence in the community landscape. We have also worked with several jurisdictions to get historically significant schools listed on the Virginia Landmarks Register and National Register of Historic Places. The Mallonee School in Hopewell, VA had been vacant for several years before the City of Hopewell issued an RFP soliciting proposals for its reuse. Situated immediately adjacent to the high school football field, the property offered a prime opportunity for residential units. 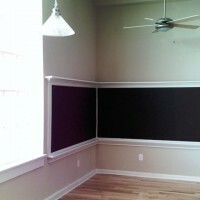 The building was converted to apartments while retaining the historic character of the school including chalkboards, classroom configuration and primary corridors.